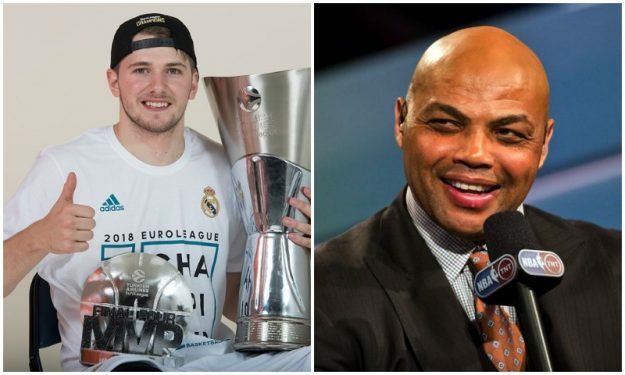 Charles Barkley doesn’t think that the case of Luka Doncic is anything special. Luka Doncic is by far the most decorated European project ever in the history of basketball. At 19 years old, he’s won everything there is to win in Europe on a club and international scale, sometimes beating future Hall Of Famers or established NBA players with recognized superstar potential. Usually, Doncic brought an MVP impact in his team’s successes while sometimes he literally took the MVP award in his bags back home. NBA General Managers and front offices have been raving about Doncic’s talent. He’s projected as a lottery pick and even a possible No. 1 selection by pretty much every NBA Draft specialist. Doncic’s accomplishments at an individual and team level, aren’t simply rare, but completely unprecedented for a player of his age. Yet it seems that there are those who aren’t really convinced. Like Charles Barkley, for example. The 11-time All-Star isn’t exactly sold on Doncic and doesn’t consider him to be something even remotely special. Actually, Barkley believes that the MVP honors the Slovenian player has won simply show one thing: That he was playing “against sh**ty competition”.